Navy Secretary Ray Mabus was named one of the top 50 CEOs of 2013, a Navy release said. The list was released earlier in March by Glassdoor, a website featuring anonymous reviews of companies, bosses and interviews. Mabus was ranked #43, just behind Victoria’s Secret CEO Sharen Turney. The list is based entirely on employee feedback over the past year. Almost 300 anonymous reviewers gave Mabus an 81 percent approval rate, the release said. Want to hear the Navy leader’s thoughts on more than this recent honor? 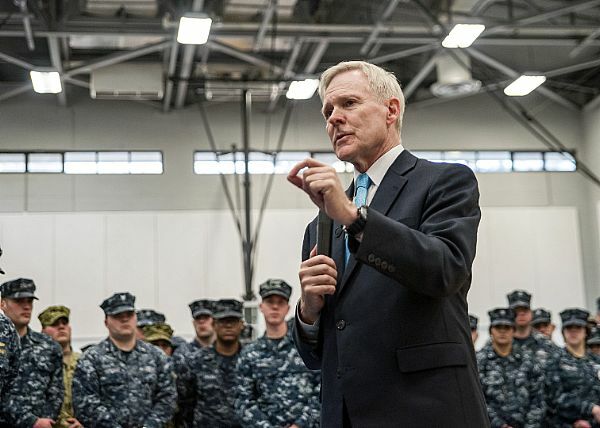 Mabus sounded off on progress made by 21st Century Sailor and Marine, women in combat and his morning workout routine in an exclusive interview earlier this week. Look for his comments in our annual State of the Navy issue, which hits newsstands April 8.